I've been seeing more and more people on blogs and Instagram pick a word to live by for the year. I decided to jump on the bandwagon and pick a word to help guide me. For my word, I picked focus. I have so much I need to accomplish this year. Small stuff like craft projects and homework. To big stuff like getting an apartment with my boyfriend and graduating college. Sometimes I get distracted or wander off track. 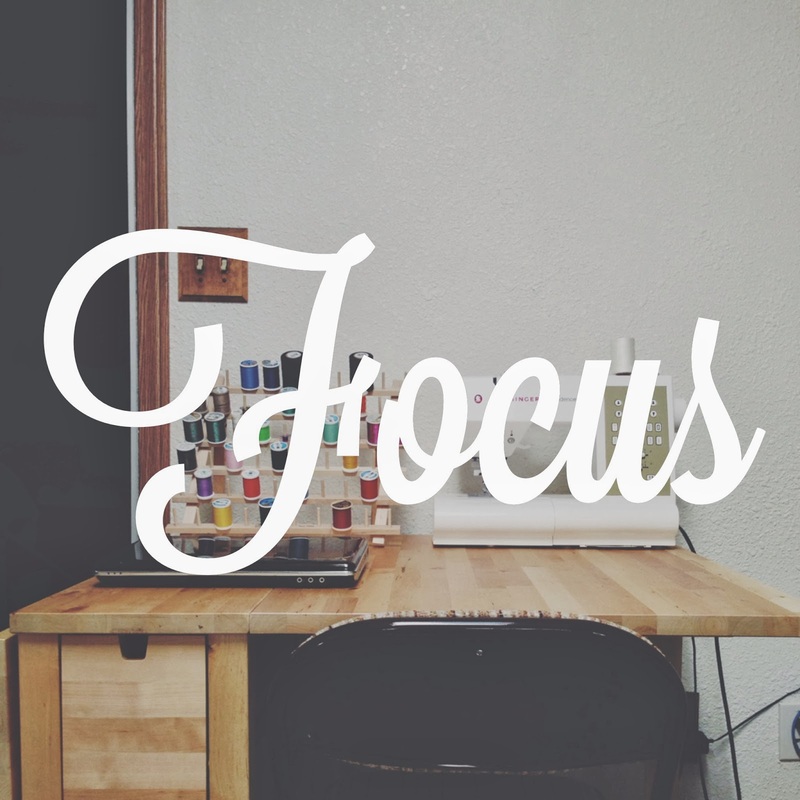 Practicing to focus more this year will help me get my goals completed easier and quicker than I have previously done. It works for finishing goals, but also for other things. Like driving without distractions or living in the moment, not on my phone. And paying attention in class instead of day dreaming. That's a big one. Focusing will help me learn and experience more. I'm very excited about starting this new tradition. I think it's going to make my year more memorable. I'm going to print this photo to hang above my craft table to help inspire me. If you're interested in picking a word, you can search #onelittleword on Instagram to help inspire you. And if you do decide to pick a word, leave a comment letting me know what you picked! Previous Post Happy New Year.